Two recent stories are indicative of these self-obsessed times, and of course, both center around the selfie. One gives us some added insights into SkinneePix — a smartphone app that supposedly transforms you into your thinner and more attractive self. The second, shows us that perhaps, just perhaps, the selfie craze has reached its zenith — as politicians and royals and pop-stars show us what their bed-heads and double chins look like. 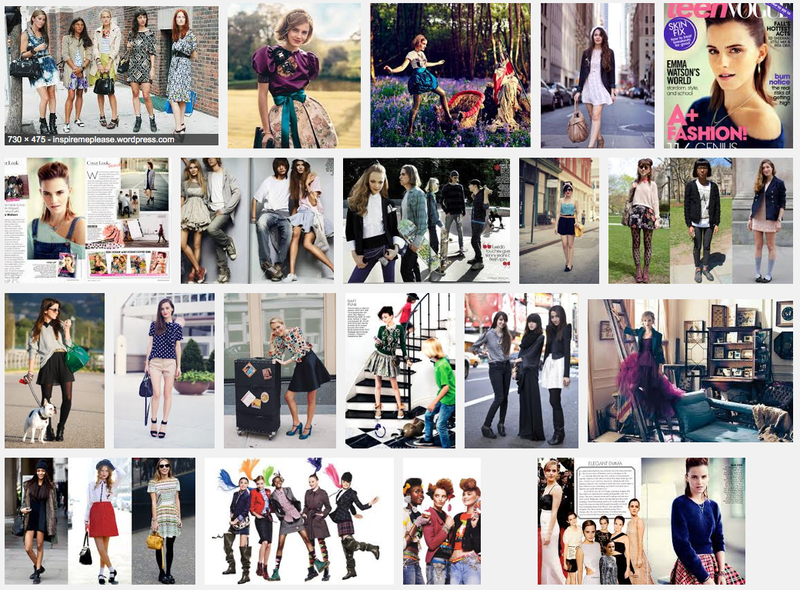 I’d like to hope that the trend fizzles soon, as have thousands of flash-in-the-pan trends have done before. Yet, what if this is just the beginning of an era that is unabashedly more self-centered? After all, there is a vast untapped world of selfidom out there: audio selfies of our bathroom routines; selfies that automatically rate your BMI; selfies that you can print in 3D; selfies that become your personal digital assistant; selfies that text other selfies; a selfie hall-of-fame; selfies that call your analyst based on how you look; selfies that set up appointments with your hair stylist should your hair not look like the top 10 selfies of the day; selfies from inside the body; a selfie that turns off your credit card and orders celery if you look 5 lbs overweight; selfies of selfies. If you thought Prince Andrew or Michael Gove’s attempts at selfies were the worst thing about the craze – think again. 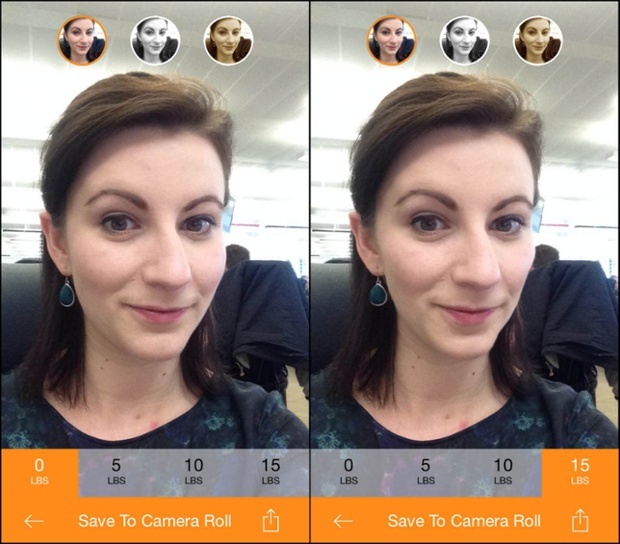 There is now an app which is designed specifically to make you look skinnier in your selfies. Acting as a FatBooth in reverse, SkinneePix promises to make it look like you’ve shed 5, 10 or 15 lbs with just the click of a button. It’s already the norm to add a toasted haze to pouty selfies thanks to photo filters, and some celebs have even been accused of airbrushing their own pictures before putting them up on Instagram – so it was only a matter of time before someone came up with an app like this. They do say don’t knock something til you’ve tried it, so I handed over 69p to iTunes in order to have a poke around the app and see what it’s really like. As it boots up the camera, it flashes up a little message which range from “Good hair day!” to “Make me look good”. You can’t alter group pictures such as the now infamous Oscars selfie, so I snapped a quick photo at my desk. RIP The Selfie. It was fun while it lasted, really it was. What larks and indeed Likes as we watched popstrels Rihanna and Rita Ora and model Cara Delevigne record their tiny bikinis and piercings and bed-heads and, once, an endangered slow loris, for posterity. The ironic Selfie remained fun and fresh and pout-tastic even when it was ushered into the august oak-paneled annals of the Oxford English Dictionary. The egocentric Selfie weathered President Obama taking a deeply inappropriate quickie at Nelson Mandela’s funeral with the hottie Danish PM whose name we have all forgotten, and David Cameron. The stealth Selfie even survived the PM being snapped barefoot and snoozing on the bed of his sister-in-law on the morning of her wedding day. And the recent Ellen DeGeneres Oscars Selfie, with every celeb that ever there was jam-packed together (and, astonishingly, in focus) pretty much qualifies as the Sgt. Pepper’s Lonely Hearts album cover de nos jours. But then, as is the inevitable parabola of such things, this week the entire phenomenon took a nosedive and died a million pixellated deaths thanks first to Ed Milliband’s blurred, sad-sack Selfie, in which he’s barely in the frame. Bit like his political career, really. Then came the Parthian Shot: Prince Andrew’s royal snap in which the west wing of Buck House was eclipsed by his Selfie-satisfied porky chops. And with that, a cutting edge trend turned into the dire digital equivalent of dad-dancing. Image courtesy of the Guardian / Skinneepix. Some businesses open their doors to the children of employees, enabling kids to get a taste of cubicle life. Some businesses even let their employees bring pets into the office. Now, a growing number of companies is urging prospective recruits to bring their parents to job interviews and corporate events. (A few words of advice if you’re a millennial looking for a job — by all means bring mom and dad to the interview, but leave the boozy uncle and the grandmother who speaks her mind back at home). Paul From was used to meeting the spouses and children of employees at company events. As chief executive of Central Wire Industries, a manufacturing firm based in Perth, Ontario, he has long held regular baseball games to get to know his employees better. But in the past five years, he has noticed his 20- and 30-something employees have started bringing new guests to company socials: Mom and Dad. One of them is Northwestern Mutual. Michael Van Grinsven, field-growth and development director at the Milwaukee-based financial firm, says the company does everything it can to accommodate the parents of college-aged interns, including regularly inviting them to the office for open houses. “It’s become best practice,” Mr. Van Grinsven says, noting that parents can influence their children’s career decisions. Some Northwestern Mutual managers call or send notes to parents when interns achieve their sales goals and let parents come along to interviews and hear details of job offers. They may even visit parents at home. Mr. Van Grinsven says the efforts have paid off: The number of interns meeting the company’s benchmark for success in sales has risen more than 40% since 2007, a productivity improvement that he attributes in part to more parental support. In May, Google Inc. held its second annual “Take Your Parents to Work Day,” hosting more than 2,000 parents at its Mountain View, Calif., headquarters. Participation numbers showed that the event was valuable to employees, the company says. Nate Kruse, a financial representative and college unit director at Northwestern Mutual, says that including his parents in the hiring process made them more supportive of his career choice. His mother, Deb Kruse from Hildreth, Neb., says she met her son Nate’s intern coordinator at Northwestern Mutual when he stopped by her house to introduce himself in 2008. Since then, she has attended several company events, including the company’s annual meeting for employees and their families. Once she attended an intern open house to answer questions from other parents.